Hello, We're CodeKick. The Company Behind KanbanFlow. KanbanFlow is a lean project management tool that enables you to collaborate with your collagues in real-time. Our focus is to make the tool simple to use, yet flexible enough for most companies' needs. We are a small software company located in the heart of Gothenburg, Sweden. 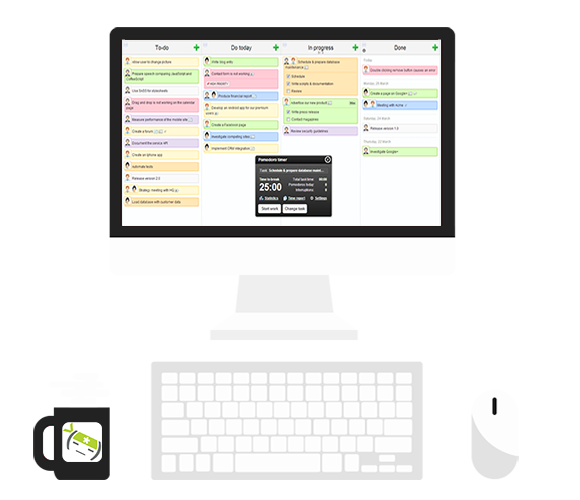 Our product KanbanFlow has quickly become a popular and widely used lean project management tool. We love working with web technology and feel passionate about our job. We apply agile and lean practices when we work, and aim to continuously improve. We believe in evolution over revolution, and release new versions of our product on a regular basis. Our company's vision is to create the best Kanban product on the market. It should be simple to use, yet flexible enough for most companies' needs. We are on the lookout for talented people that want to join our team. Both back-end and front-end developers are wanted. So if you love programming and are looking for a new job, get in touch with us. We are a small company so you will have a great opportunity to influence both the direction of the product and how we work internally. We are also looking for people that want to do their master thesis at CodeKick. We have a number of thesis proposals available. © 2011-2018 CodeKick AB. All rights reserved.